Bagworth (Leicestershire) was closed in 1991 after 166 years. The pit was the oldest in the Area, if not the country and was sunk in 1825 by George Williamson, an experienced Mining Engineer from Church Gresley on behalf of Viscount Maynard the owner. Originally 2 shafts No1 and No2 at 8’ 0” (2.74m) dia. were sunk to the north of the village of Bagworth to the Upper Main and deepened to the Lower Main some time later at 920 feet (280.4m). No3 Shaft or Jacky was filled in during the 1940s and No4 the pumping shaft in 1963. The old beam pumping engine was used in the 1800s in sinking. Viscount Maynard died in 1865 and the pit was then taken over by the executors and his Great-grand daughter, the Countess of Warwick until 1870 when the lease was taken over by Gledow to 1873, then taken over Glendon and Co to 1875 when the colliery was acquired by the Bagworth Coal Co Ltd. The firm went into liquidation around 1880 and in 1882 a new Bagworth Coal Co was formed. A new shaft was sunk in 1885-1886 because the old ones were small and crooked. The old No1 was widened out to 14’ 0” (4.27m) in 1903. 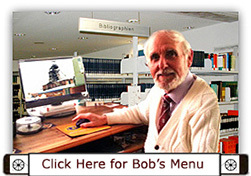 Another New Bagworth Co Ltd was founded in 1913. Ponies pulling trams of coal were ganged by boys and the coal was hand loaded at the coal face by forks or screens. A pillar of support was left to protect Bagworth Colliery Brickworks. The first coal cutter was introduced in 1935 and first electric drill in 1941 in the High Main seam. Shaker pans and conveyor belts were introduced in 1940 and coal was raised up the shafts by tubs and delivered to the steam-driven screens, whereas in 1958 the coal was fed through a vertical bunker and raised in skips at No2 shaft where it was fed onto a conveyor at the surface and transported to the modern screens. Remote control of the conveyor system was installed in 1965. 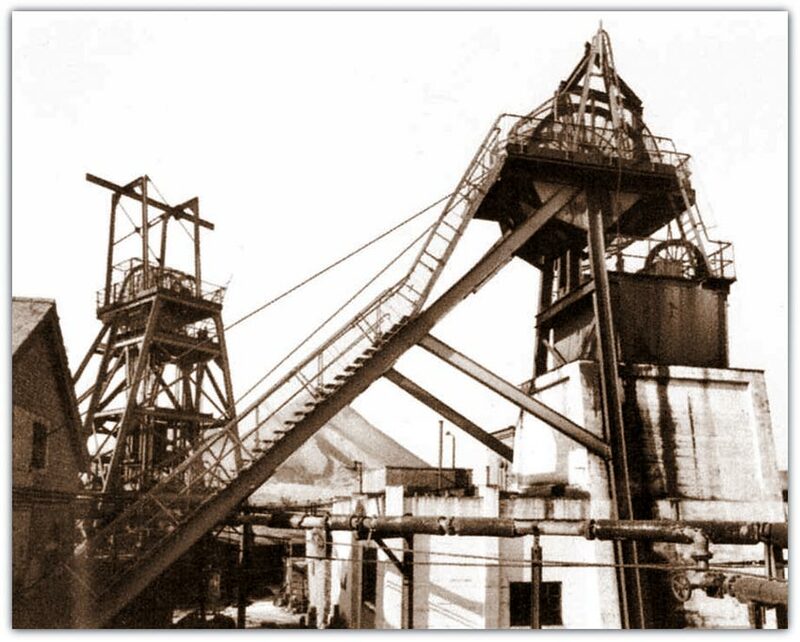 The last handfilled face finished in 1964 in the Middle Lount seam and men were transferred to neighbouring collieries. 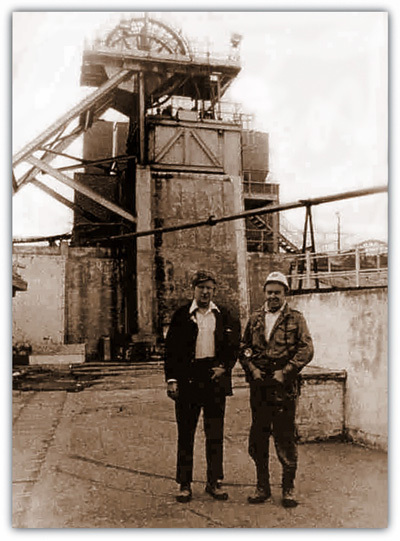 Bagworth and Nailstone were connected underground in 1967 and all the coal from the merged collieries was transported out of the mine via a surface drift into the Nailstone Coal Preparation Plant and coal winding at Bagworth shaft was discontinued. Butterley traversing bunkers were installed in 1965 and 1972 to even out the flow of coal at peak times. A 3,000 tonnes capacity rapid-loading bunker was commissioned in 1979 and a full load of 35 wagons could be despatched within 30 minutes on the ‘Merry-go-round’ train. In 1948 a new roadway was driven in the Middle Lount to make a new pit bottom and whilst driving the road encountered an old Step shaft (driven from one seam to another (or Staple pit) and a small ignition occurred when one of the men put his Shuki lamp into the hole and there was a flame of gas, fortunately not injuring anyone. A canteen was built in 1940s and the pit-head baths and medical centre in 1956. Unfortunately the pit suffered tremendously from interaction due to the number of seams having been worked and many of the panels had short lives, resulting in much development work being needed to carry on producing coal at the required tonnages. Some swinging of faces to a different direction created better working conditions along with the new heavy duty face supports. Later single-entry faces ventilated by auxiliary fans proved very successful; however the areas to work the same were limited. A vertical bunker of 200 tonnes capacity was driven in the Middle Lount pit bottom. A Huwood slicer cutting machine was introduced into the Yard seam, but the face ran into unknown old workings. A Dosco heading machine was introduced into the Nether Lount seam but had to be lowered into the pit on the winding rope by removing the cage due to its size. A connection was made through to Nailstone in this seam which was susceptible to heatings. Sir Derek Ezra when Chairman of the NCB visited the colliery in the 1970s. A digital mine computer installed in 1973 and TV cameras installed at each transfer point. Later in 1976 FIDO was installed. No1 steam winder was converted to electric in the same year. The surface bunker was demolished in 1989 and the overland conveyor removed. Two McLane tips were in use in 1956. Pithead baths were opened in 1957, also a new Stores building. A Huwood slicer machine was introduced in 1958. Skips were installed in 1958 and new screens. Steam winder replaced by electric in 1970. A Dosco road header was in use in 1971. A Ranging drum shearer and lights attached to chocks were introduced on a coal face in 1974. An AM 500 Shearer introduced in 1975 and a new Control room with TV screens was operational in 1975. Bagworth was merged with Ellistown (sunk 1874) in 1986 and known as Bagworth / Ellistown. Nailstone sunk 1863-1865 had been absorbed earlier. A surface drift was approximate position E441850, N310900 driven at Nailstone in 1958-1959 and all output from the complex was sent underground to Nailstone coal prep plant in 1971. Auto control of coal clearance was implemented in 1976. Hunslet diesel loco was in introduced underground for manriding also in 1976. Coal face sprags were attached to chock beams in 1977. A 400hp DERD Shearer with chain haulage was in operation 1978. An AB 16 SERD Shearer was installed on another face. A Rack-a-track shearer introduced later.